Shockwave Player 12.3.3.204 is the web standard for powerful multimedia playback. Shockwave Player allows you to view interactive web content like games, business presentations, entertainment, and advertisements from your web browser. Install Shockwave Player 12.3.3.204 and you’ll have access to some of the best content the web has to offer including dazzling 3D games and entertainment, interactive product demonstrations, and online learning applications. Shockwave Player displays web content that has been created by Adobe Director, including content made with previous versions and Director MX 2004. 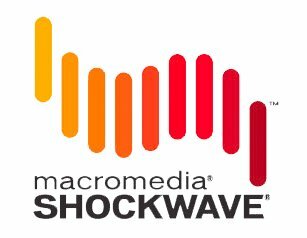 Unlike Adobe Flash, Shockwave Player displays destination web content such as interactive multimedia product demos and training, e-merchandising applications, and rich-media multi-user games. Over 450 million Internet-enabled desktops have Shockwave Player 12.3.3.204 installed. These users have access to some of the best content the Web has to offer – including dazzling 3D games and entertainment, interactive product demonstrations, and online learning applications. Shockwave Player displays Web content that has been created using Adobe Director. This version enables Shockwave support in both Internet Explorer and Mozilla Firefox. Download Shockwave Player offline installer for PC from vlsoft.net now. Shockwave Player personifies content by supporting Anaglyph Stereoscopy. Shockwave Player adds character to content with support for filer effects such as Convolution filter, Adjust Color filter, Depth of Field, Bloom Effect, Night Vision etc. Shockwave Player makes viewing content a visual treat by supporting textures and shaders such as PerlinNoise Texture, CubeMap Render Texture and shaders, such as Fresnel Shader. Download Shockwave Player Offline Installer Setup! How To Install Shockwave Player 12.3.3.204? Download Shockwave Player 12.3.3.204 from below. Shockwave Player 12.3.3.204 Mac Plus Windows Link is Given Below!